FINCHER & CO. New Zealand — Global Wine Solutions Ltd. Taking fruit from some of the nest vineyard sites in New Zealand and vinifying them in a manner that respects the quality of the terroir, the wines are made with the independent consumer and restaurant table in mind. A focussed wine style that appeals to true enthusiasts looking for an alternative, yet still recognisable, expression of Marlborough and Central Otago. A reflection of single site viticulture in Marlborough and Central Otago, New Zealand. Created by Master of Wine, Liam Steevenson. From the beginning, this brand has been built around the importance of finding exceptional vineyards that highlight the intrinsic qualities and diverse nature of Sauvignon Blanc & Pinot Noir. Patience in the vineyard is echoed inside the cellar, resulting in wines that reflect place rather than pure fruit character. 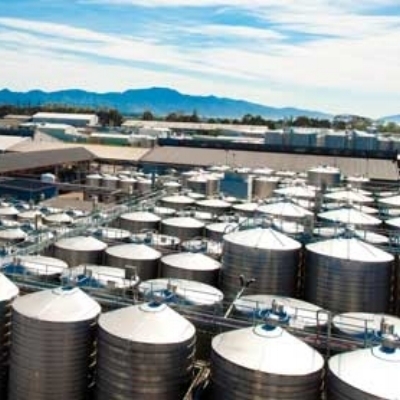 Deliberately low residual sugar levels with both Sauvignon Blancs move them away from the norm; resulting in wines for the independent customer and the restaurant table. FINCHER & CO. showcases the brilliance of New Zealand winemaking and ensures that the essence of place and people is reflected in the finished wine. Unhindered by the Awatere Valley’s meagre soils. FINCHER & CO Sauvignon Blanc perfectly captures the ultra violet brilliance of Marlborough’s maritime climate. Slow ripening intensifes flavours and gentle handling ensures the unique imprint of the Awatere terroir is preserved and passed from vineyard to bottle. A reflection of the ambitions of wine trade friends, winemaker Ben Glover and Master of Wine, Liam Steevenson. Deliberately brave in its approach, we aim both to re ect the terroir of the Southern Valleys, but also stylistically excite and challenge the consumer. The Dividing Line is a barrel-fermented Sauvignon Blanc which undergoes extended lees contact in older barrels. Pushing the expectations of this category, the wine shows quite dramatic funk and citrus notes with underlying exotic fruits and oral tones. The extended time on natural lees give the wine an unexpected texture as will as a deliciously nutty character. FINCHER & CO. takes a deliberate step away from the supermarket, high volume retail look that defines most of the regions labelling. Artisanal winemaking is reflected in the packaging, designed to illustrate the very high human input that has gone into making these unique New Zealand wines.